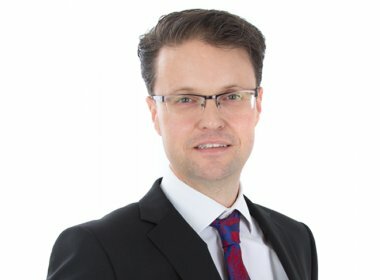 The Lonsdale Independent interviewed Harpenden independent financial adviser (IFA) Mark Slobom who works in the Lonsdale Services Harpenden financial planning team. In this interview you will learn about how the Lonsdale Services Investment Policy Committee supports the independent financial advice provided by our independent financial advisers, and why Lonsdale Services believes it is advantageous to offer you independent financial advice. Mark works with wealth management clients in Harpenden and the surrounding area. Mark is also Chair of the Lonsdale Services Investment Policy Committee, and is a member of the Vestra Investment Policy Committee. How does the Lonsdale Services Investment Policy Committee support our clients? The Investment Policy Committee aim to produce a relatively consistent investment return for our clients. We try to avoid the worst of markets that are falling and invest in rising markets. To do this we recommend a client diversifies their investments across a range of investment products. All our product choices are researched by our Investment Policy Committee. Not all asset classes or investment strategies move in the same direction at the same time, but by spreading an investment portfolio across different products and investments that may react differently from each other we smooth out the investing highs and lows. However, it is always important to remember that we recommend investing for the long-term and the value of investments can fall as well as rise. You may not get back what you invest. Why is it important that the Lonsdale Services Investment Policy Committee offers independent financial advice? The Investment Policy Committee meets and identifies the most suitable investment policies, develops asset allocation for the various client risk profiles, then the individual IFA recommends the most suitable products for our client portfolios. Being fully independent is advantageous because we are not restricted to one investment provider, so we can choose a range of products from different investment groups. Who is a member of the Lonsdale Services Investment Policy Committee, and how often do you meet? All the Lonsdale Services independent financial advisers are members of the Investment Policy Committee. Kate Harris, our research adviser assists me in organising our bi-monthly policy meetings. Kate also produces the central investment policy guide for our independent financial advisers and implements the actions from our meetings. Where does the Lonsdale Services Investment Policy Committee meet? We hold our meetings at different locations, but often in London. We are very fortunate that many of the mutual fund groups who manage our investments will provide us with a meeting room for our two hour investment policy meeting. Following our meeting we often meet some of the investment managers who manage our recommended funds. We have been to Old Mutual Offices and met Richard Watts who manages the Old Mutual UK Mid Cap Fund. We also had a meeting at Newton Investment Management where Chris Metcalfe presented to us. Chris manages the Newton UK Income Fund and the Newton UK Opportunities Fund. How does the Lonsdale Services Investment Policy Committee research suitable products? Lonsdale Services investment research is provided by the Lonsdale Services Investment Policy Committee, supplemented by external analysts, as necessary. We apply stringent criteria to deliver client value, and we screen thousands of financial products to identify the ones that meet these investment criteria. This enables us to offer our clients high quality, proven investments to meet their financial requirements. What process do you use to research mutual fund groups and investment managers? The Investment Policy Committee recommend mutual fund groups with sizeable funds under management. We prefer investment houses with a strong team bias, where strategists and analysts support the investment management teams. We use both qualitative and quantitative methods to research investment funds for our panel. We review the investment houses each year by sending out a questionnaire and scoring all the investment managers on our investment matrix. We also keep in regular contact with the investment houses so we are aware of any changes that may affect our investment view, such as a change in process or the departure of key investment personnel. Each Lonsdale independent financial adviser is responsible for reviewing at least one mutual fund group, and we subscribe to Morningstar to assist us. How does the risk and reward profile of a client affect their investment strategy? A client’s risk and reward profile is fundamental to the independent financial advice we provide. For each client we aim to deliver an investment strategy that produces a level of investment volatility that they are comfortable with. When we first meet a client we discuss their risk and reward profile, the type of products they may prefer, and discuss their preference for active or passive investment. We have five categories of client – low risk, low / medium risk, medium risk, Medium/High risk, High risk. For many clients we recommend the Vestra model Portfolio for the volatility control and diversification. Lonsdale Services began working with Vestra Wealth LLP in 2015 to develop a range of managed risk adjusted Governed Portfolios. Simon Prestcote, our chartered wealth manager and independent financial adviser in Barnet North London and I are members of the Vestra Policy Committee, so we are involved in managing the Governed Portfolio asset allocation. This investment product is suitable for clients that do not want to make any active asset allocation decisions, as all investment decisions are made by Vestra. Currently 40% of our clients invest in the Vestra Governed Portfolio. How do the independent financial advisers use the recommendations of the Lonsdale Services Investment Policy Committee? The Investment Policy committee provides guidance to the Lonsdale Services independent financial advisers. We advise our independent financial advisers in how to construct client portfolios to ensure consistency, recommend asset allocation for each risk profile, and provide pre-approved and researched investments. Our process selects and reviews suitable investments enabling us to introduce and remove fund groups from our approved investment panel. We can also introduce new product types or remove products if appropriate. We ensure all the advisers adhere to the regulatory requirements of the Financial Conduct Authority. Our qualitative and quantitative approach to investing enables Lonsdale Services to invest in relatively high performing long-term investments. Our investment panel includes many fund groups with excellent long-term track records. Being independent allows us to offer a diversified list of long-term performing funds that our independent financial advisers can choose for their clients. We believe in meeting our clients face to face, and we also believe in keeping in close contact with the investment managers that manage our client’s investments.